We encourage our patients to educate themselves about orthopaedic conditions and treatment options. Orthopaedic physicians are experts in all aspects of the musculoskeletal system. Many orthopaedists specialize in certain areas of the body, such as the hand, foot and ankle, spine, hip or knee. They may also choose to focus on specific fields like pediatrics, trauma or sports medicine. Orthopaedics is the medical specialty that focuses on injuries and diseases of the body's musculoskeletal system. This complex system includes your bones, joints, ligaments, tendons, muscles, and nerves, and allows you to move, work, and be active. We want to help you understand your diagnosis and treatment options. From an ankle sprain to a complex spine surgery, we have the information you need to feel confident throughout your treatment journey. Whether you want to research an injury prior to seeing a physician or want to learn more about your diagnosis and the aspects of your care after your visit, our extensive clinical video library will provide you with the answers you are looking for. Just click on the body part you want to learn more about! The thoracic and lumbar spine provides the main support for your body, allowing you to stand upright, bend, and twist, while protecting the spinal cord from injury. A healthy spine provides strength, is flexible, and allows movement in several planes. Strong bones and muscles, flexible tendons and ligaments, and sensitive nerves contribute to a healthy spine. Yet, any of these structures affected by strain, injury, or disease can cause pain. Cervical: The cervical spine is made up of 7 vertebrae (C1-C7). The main function of the cervical spine is the support the weight of the head. Thoracic: The thoracic spine is made up of 12 vertebrae (T1-T12). The range of motion in the thoracic region is limited and its main function is to protect the organs of the best by providing attachment for the rib cage. Lumbar: The lumbar spine is made up of 5 vertebrae (L1—L5). These are the largest vertebrae in the spinal column and their main function is to bear the weight of the body. Sacral: The sacral spine is made up of 5 vertebrae which are fused together. The main function of the sacral region is to provide attachment for the iliac (hip) bones and protect the pelvic organs. Coccyx: The coccyx or tailbone is made up of 4 fused bones. It resembles a tail and does not serve a real function in the spine. Visit our video library below to learn more about spine conditions, injuries, and procedures. Shoulder injuries are frequently caused by athletic activities that involve excessive, repetitive, overhead motion, such as swimming, tennis, pitching, and weightlifting. Injuries can also occur during everyday activities such as gardening, hanging pictures and house cleaning. Can you rotate your arm in all the normal positions? If you answered "yes" to any one of these questions, you should consult an orthopaedic surgeon for help in determining the severity of the problem. Visit our video library below to learn more about shoulder conditions, injuries, and procedures. The cervical spine or neck is made up of 7 vertebrae (C1-C7). The cervical vertebrae work with the muscles, joints, ligaments and tendons to provide support, structure and stabilization to the neck. They also support the weight of the head. Rotation – Moving the head from side to side. Most rotation of the neck takes place in the first two vertebrae – C1 and C2. Most flexion and extension movements in the neck are controlled by the C5, C6 and C7 vertebrae. Visit our video library below to learn more about neck conditions, injuries, and procedures. The elbow is a hinge joint consisting of three bones. The upper portion of the hinge is at the end of the upper arm bone (humerus), and the lower portion is the top of the two forearm bones (radius and ulna) which are side by side. All three of these bones are in contact with each other. The joint is surrounded and lined by cartilage, muscles, and tendons that provide support, stability, and ease of movement. The elbow joint allows for the extension, flexion, and rotation of the arm. The range of motion is dependent upon the proper articulation of the elbow joint. It is easy to see why the elbow can cause problems when it does not function correctly. Visit our video library below to learn more about elbow conditions, injuries, and procedures. If you have pain in your fingers, hand, wrist or arm, or have other upper-extremity related concerns, you should consult a hand and upper extremity specialist. Visit our video library below to learn more about hand and wrist conditions, injuries, and procedures. The hip joint is made up of two bones: the pelvis and the femur (the thighbone). It is the largest ball-and-socket joint in your body. The "ball" is the rounded end of the femur (also called the femoral head). The "socket" is a concave depression in the lower side of the pelvis (also called the acetabulum). The femoral head fits into the acetabulum to form the hip joint. 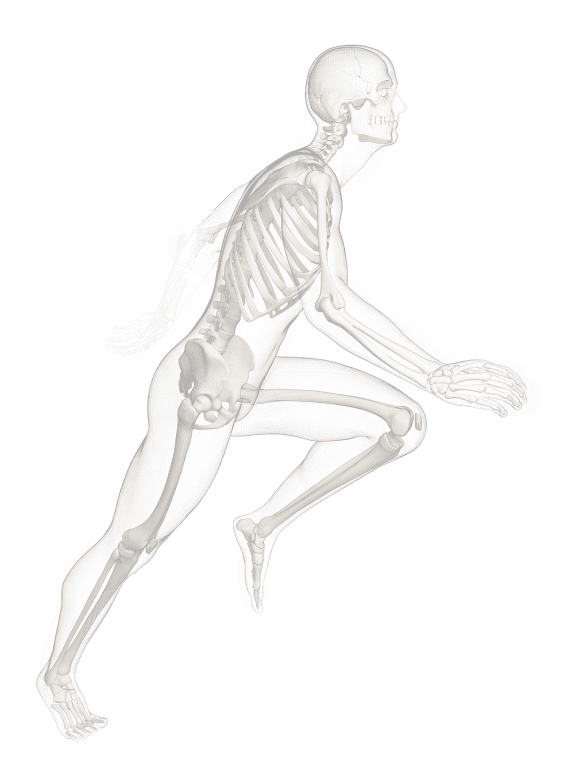 Many powerful muscles connect to and cross by the hip joint, making it possible for us to accelerate quickly during actions like walking, running and jumping. The hip is a complicated mechanism and therefore hip pain can originate in many different parts of the joint. Learning the anatomy of your hip will better enable you to pinpoint your pain and work with your doctor to keep it from limiting your life. If you are experiencing pain in your hip or any of the conditions listed above, you should consult an orthopaedic surgeon for help in determining the severity of the problem. Visit our video library below to learn more about hip conditions, injuries, and procedures. Visit our video library below to learn more about knee conditions, injuries, and procedures. The human foot is incredibly complex in its structures and function. The ankle serves as the foundation, shock absorber and is the driving force for forward motion. The foot can sustain enormous pressure (several tons over the course of a one-mile run) and provides flexibility and resiliency. The foot and ankle contain 26 bones (One-quarter of the bones in the human body are in the feet. ); 33 joints and more than 100 muscles, tendons, and ligaments. These components work together to provide the body with support, balance, and mobility. Visit our video library below to learn more about foot and ankle conditions, injuries, and procedures.